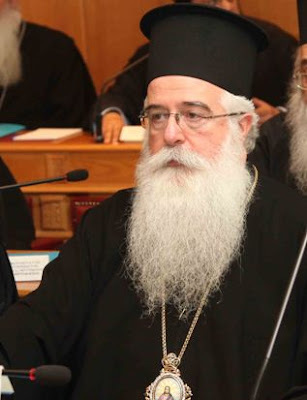 In the Greek morning show "Skai Now" His Eminence Metropolitan Ignatios of Dimitriados explained the situation earlier in the week regarding his reading of the Old Testament passages during Great Vespers in the vernacular. According to Romfea.gr, he said: "It is something I have done for the past two years now, and not a recent thing. Some chose this moment to create an issue." "The protests were organized by some people who are not from our region. They wanted to create a problem to respond to our choice. It is my personal choice," responded the Metropolitan. His Eminence further explained that the passages from the Old Testament have a didactic purpose for the people and are not prayers addressed to God in a higher language. Often they are read without being understood. He added that the text is officially approved by the Church through the Bible Society. "Believe me, that whenever I read the passages from the Old Testament in the demotic, it is as if the faithful are listening to a second sermon," the Metropolitan emphasized.